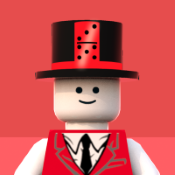 Has anyone got any news or does anyone know when we are likely to get news or images of the 'sequel' set to the Fairground Mixer? I heard there was going to be a Ferris Wheel also...not seen anything recently though. 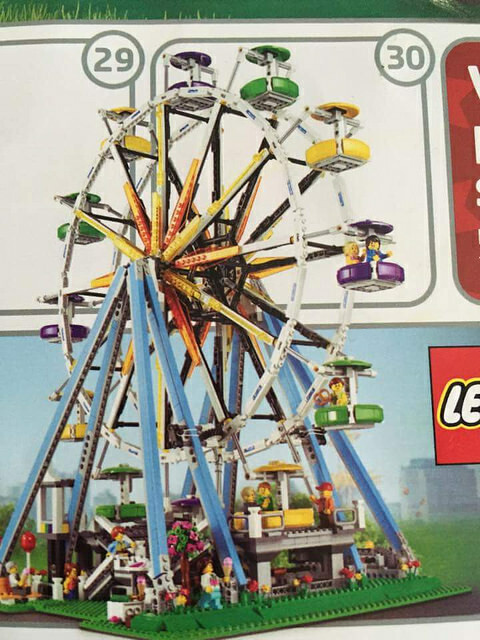 Lego should creator expert ferris wheels 10247 we have images soon? Because on the new calendar of May there is a set of exclusive V.I.P. Rumor is the Ferris wheel will be the VIP exclusive set to get in May, and it would make sense since I believe the mixer was around the same time last year. It will be announced any day now. Has just over 2400 pieces and is very substantial on the ground. It Doesn't have many 'cars' for the guests - certainly no more than 10 - but they are divided by unique designs so the build and appearance isn't repetitive. It does NOT pack onto a truck, but is fixed onto a baseplate, I think the best way to describe the look is to think of the Mixer, it's colourful and fun but still very realistic in terms of the architecture and little details, like booths and such. I can't remember the pricing sorry. $199.99. And it has twelve cars. I'm sure they'll turn up soon. Still haven't picked up the mixer as I keep on talking myself out of it. If I like the like of this wheel that'll probably tip me toward grabbing the mixer before it goes. If the mixer was sub £100 it would make it an easier purchase tho. this is great information, and totally plausable based on the lack of anything we have heard so far. Although I can't help but be a little disappointed if true that it does not pack onto a truck, this travelling fair idea could have been a great long term theme, even at 8 wide trucks, I can imagine the limitations it also places on the designers. Here's a first look at it! That's big, I would've liked to have been able to folder it way like the previous set. That thing is a BEAST. Too bad it's out of my budget. That thing looks fun. Eagerly looking forward to it. First impression, if I'm honest, I'm disappointed. I don't like the colour scheme at all. Purple!? No red or blue. Too much black - and a horrible clash with white. Pale blue supports? Not sure what's going on with what I assume are sunbeams on the spokes. I think lights would have looked better. The mechanism to drive the wheel is realistic but looks really clumsy at this scale. Too much going on around the bottom. Flowers...trees! I've never seen a Ferris wheel with a garden at the foot of it. I like have they have engineered the shape and got the wheel nice and round with a sensible number of gondolas. I can only hope that as I see more pictures of it from more angles it grows on me. I really want to like it the way I love the Mixer. Not sure what's going on with what I assume are sunbeams on the spokes. I think lights would have looked better. Is it motorized? I like it! Hm. Love the Mixer, so debating on this one now. I don't like the blue supports, and I'm not huge on the yellow/green/purple gondolas. I do like the sunburst look on the white wheel though. So as of now, I'm sure I'll get it and probably modify the colors a bit. It'll look nice someday when I get my train layout done, having this giving some motion to the scenery. Much better than the first thing. Also maybe there are a lot of hidden bricks; but 250 euro's? ?